BEYOND INSIGHTS head office and learning center is located at Unit 100.6.011 (Level 6 Unit 011), 129 Offices building in Jaya One, 72A Jalan Universiti, Petaling Jaya, Selangor, Malaysia. 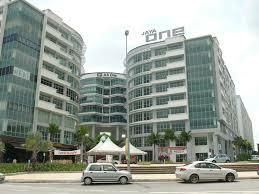 Jaya One is easy to get to. We are only 15 minutes away from major highways like, LDP, Sprint, Kerinchi, and Federal. It is accessible by public transport and there are ample parking at reasonable rates. 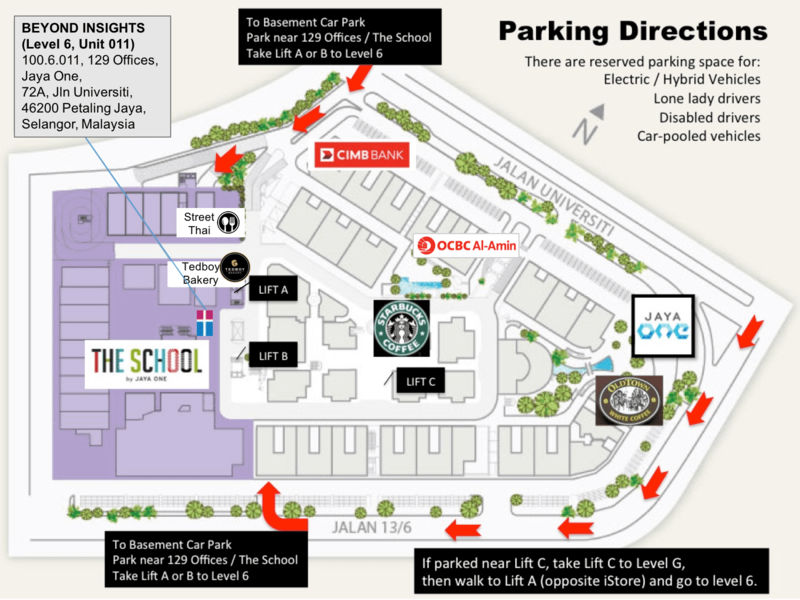 Beyond Insights is located at Level 6 of the building called The School (or Block J) inside Jaya One. It is accessible via RapidKL and PJ city bus. 1) PJ01 (PJ city free bus) - around 10 to 15 minutes ride. 2) PJ02 (PJ city free bus) - 20 to 30 minutes ride. If you are coming from Taman Paramount LRT, board Rapid KL bus no. T790. If you are coming from University LRT, board Rapid KL bus no. T790. The School is just 30-minute drive from KL City Centre. If you’re taking a taxi, do remind the taxi driver to use the meter. There is a designated GrabTaxi station located at the entrance of The School. Alternatively, you may also approach the Information Counter on the Ground Floor, The School, for assistance. 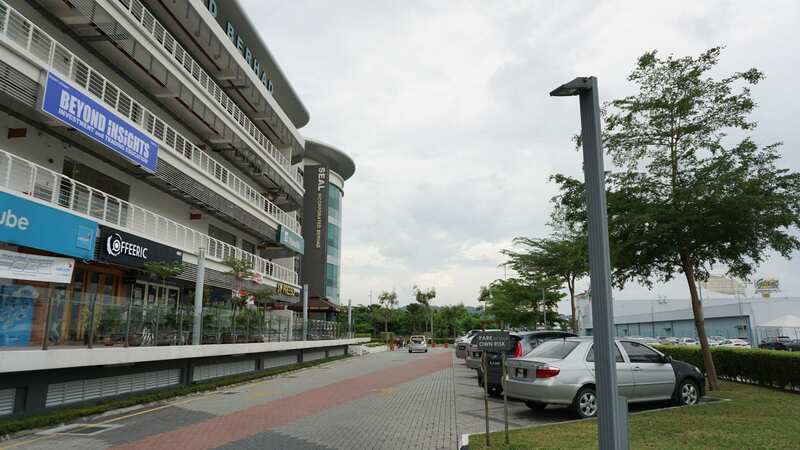 Click here to Navigate to Jaya One using Waze. Or just open Waze on your phone and search for "Beyond Insights" or "Jaya One". This main entrance to basement parking near CIMB Bank is the best entrance to use if you want to park near Lift A or Lift B. 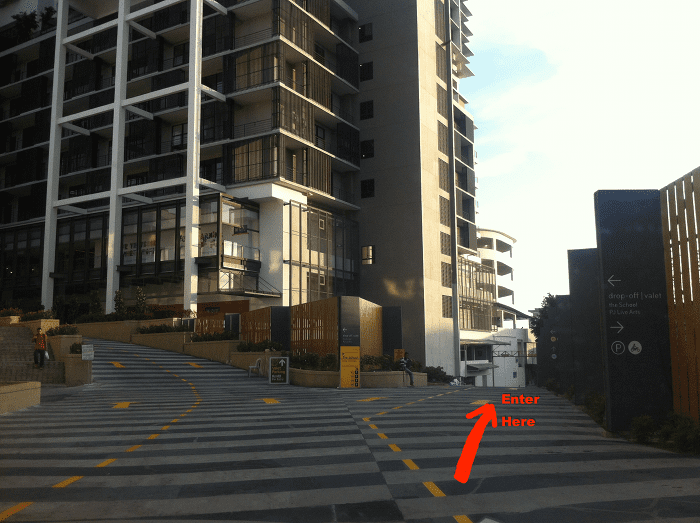 Lift A or Lift B provides direct access to Level 6 of 129 Offices, which is where Beyond Insights is situated. Alternatively, you can also park anywhere you can see the signage for The School. First 2 hours or part-thereof RM 3.00. Each subsequent hour or part-thereof RM 2.00. After 6 pm (Mon-Fri) RM 2.00 per entry​. Estimated price (per night for standard room): RM285. 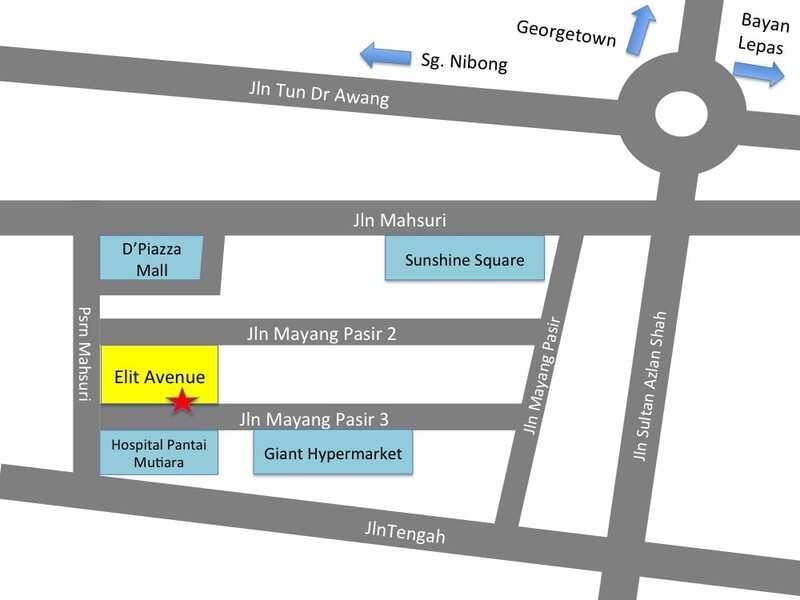 BEYOND INSIGHTS Penang learning center is located at Unit 1-2-16 & 13A, Elit Avenue, Jalan Maying Pasir 3, Bayan Baru, Penang. Elit Avenue is about 15 minutes away from Penang International Airport, 15 minutes away from Penang Bridge, and 25 minutes away from KOMTAR (the city center). Click here to Navigate to ﻿our Penang center using Waze, or just open Waze on your phone and search for "Beyond Insights Penang"